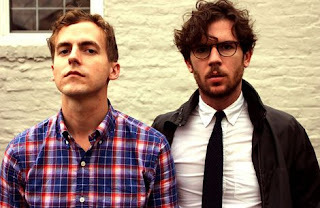 Video: Generationals - "Put A Light On"
Generationals have become one of my new favorite indie/pop bands and at the end of last week they debuted their new video for the excellent single "Put A Light On." You'll be able to find this song on their forthcoming album Heza, which will be out April 4th. The playful atmosphere of this visual is exactly what the catchy tune needed and it is making me even more ready for this record. Watch below and pre-order Heza right here if you'd like.